Look at this image. Both side are different colors. I tried moving direction light to various spots. But, couldn't make it. How to make same color everywhere in this shape ? there are plenty of tricks to achieve this. I would search google and Unity forum for all these solutions. 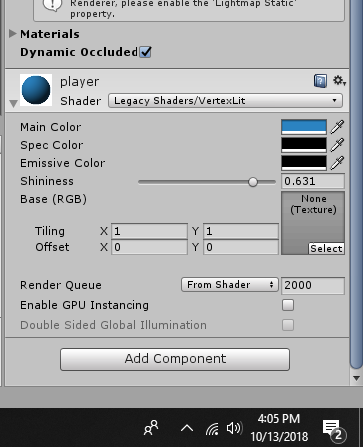 one easy way is that you need to use a material with maxed out emission color, then you'll have plain colors. I did a search on Google and tried tweaking ambient color settings. I don't get it. I just use simple plain colors are material. I tried emission color settings, It gave so,me weird results. Later, I rotated the directional light and got a decent result. But, still it's not equal lighting. Will Post Processing can help with this ? 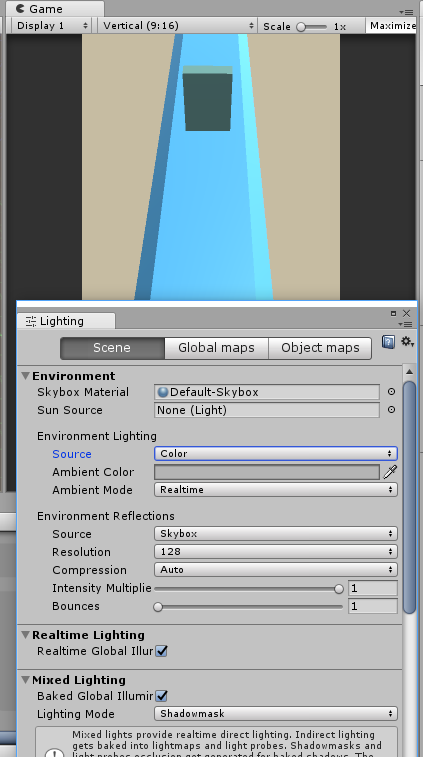 Unlit shaders, otherwise directional lights.